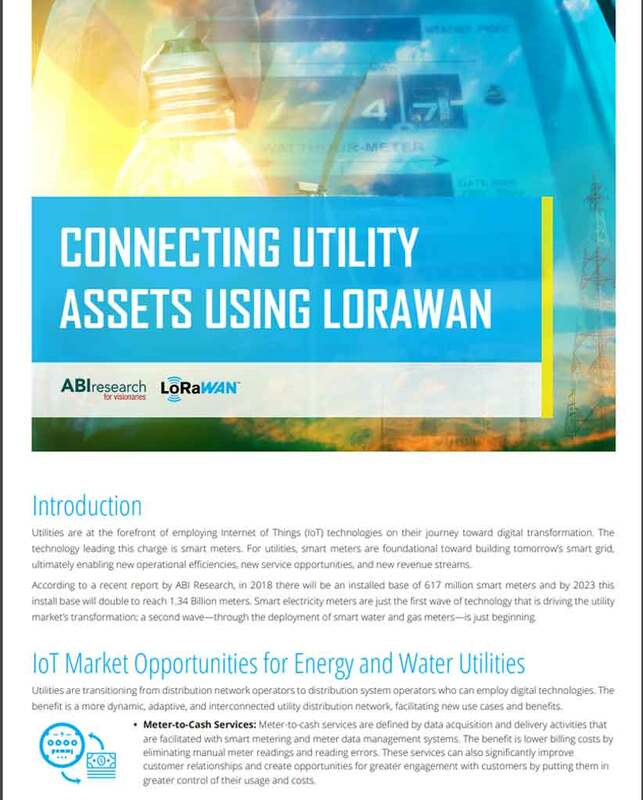 Utilities are at the forefront of employing Internet of Things (IoT) technologies on their journey toward digital transformation. The technology leading this charge is smart meters. For utilities, smart meters are foundational toward building tomorrow’s smart grid, ultimately enabling new operational efficiencies, new service opportunities, and new revenue streams. According to a recent report by ABI Research, in 2018 there will be an installed base of 617 million smart meters and by 2023 this install base will double to reach 1.34 Billion meters. Smart electricity meters are just the first wave of technology that is driving the utility market’s transformation; a second wave—through the deployment of smart water and gas meters—is just beginning. Utilities are transitioning from distribution network operators to distribution system operators who can employ digital technologies. The benefit is a more dynamic, adaptive, and interconnected utility distribution network, facilitating new use cases and benefits.